ThermalTech has participated in three recent LEED certifications in the greater Cincinnati area and we currently employ six LEED certified engineers and three Certified Energy Managers (CEM) on staff. 800 Broadway Building (Certified LEED-EB) – The existing Hamilton County Juvenile Court facility, formerly the Times Star Reporter Building has earned the first Government Building LEED Certification for Existing Buildings: Operations and Maintenance (LEED EB:O+M) Certification in Ohio. 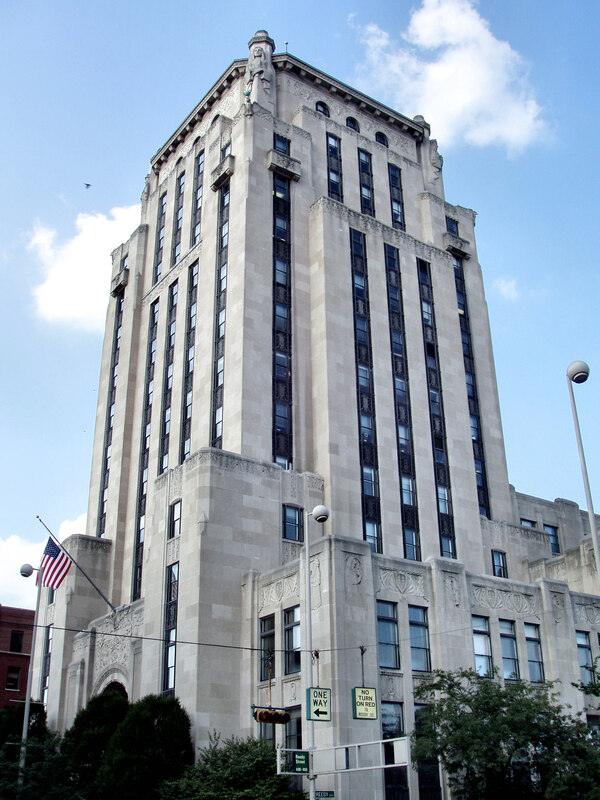 This 19 story, 354,588 square foot building, constructed in 1937, has previously been renovated into governmental office and courtroom spaces. Not only has the building garnered the LEED certification, it has continuously received the EPA Energy Star Award for since 2009 which aided greatly in the LEED certification. Duke Energy Building at 4th & Main in downtown Cincinnati (Certified Silver LEED-CI Commercial Interiors) – ThermalTech performed the MEP design for the commercial renovation, including schematic, design development, construction drawings, bidding and construction administration. In addition, ThermalTech performed the commissioning and LEED process for the multiple requirement of LEED including Material Resources, Sustainable Site, Energy and Atmosphere, Water Efficiency and IEQ. Material purchasing and commissioning were the biggest drivers on this certification. Xavier University, Cincinnati, Ohio (Certified Silver) Hoff Academic Quad – ThermalTech provided third party commissioning of new $115M quad including, Central Utility Plant, Residence halls, Learning Commons, and Classrooms.